Should Inmates Bring Their Own Prescriptions to the Jail? In response to my last post, one reader wrote to tell me that the jail where she works does not accept medications brought in by inmates or their families. They consider this a security risk. All medications are ordered and supplied by the jail. She asks if I will comment on this. Before I do, I need to define a couple of terms that come up over and over in any discussion of newly booked inmates’ medications. The first term is “Verification.” Verification refers to the process of verifying what medications an inmate is currently prescribed and is taking. There are three ways to verify medications. The first is to call the prescribing doctor’s office to get a list of currently prescribed medications. The second is to call the dispensing pharmacy to get a list of all prescriptions they have recently filled for the patient. Finally, the inmate could bring the medications they are taking into the jail with them in the original pill bottles. On the label is everything we need to know—who prescribed the medication, when it was filled, dosages–everything. One problem with calling the doctor’s office to verify medications is that the patient often is not taking all of the prescribed medications. If I remember right, studies show that only around half of all prescriptions are filled. So you will get a list of prescribed medications, but that may not be what the patient is actually taking. Another problem with calling the doctor’s office for a current medication list is that doctor’s offices are often closed. If a patient is booked Friday afternoon of a holiday weekend, you may not be able to get a current medication list until Tuesday. Finally, many inmates get medications from multiple prescribers. For example, the patient may have a family physician, but a psychiatrist prescribes their mental health medications and they also use a pain specialist. And get prescriptions also from ERs and “Doc-in-the-Box” clinics. And like doctors’ offices, pharmacies may be closed when you want to call them. And inmates often use more than one pharmacy. Some inmates use mail order pharmacies that are hard to get any information out of. Or an inmate may not use a pharmacy at all—for example, their medications might be supplied by a psychosocial rehab group. Finally, it is not uncommon for an inmate not to remember what pharmacy they use, at all! The second term to define is “Authorization.” I discussed medication authorization in my last post. Authorization refers to the process of reviewing and inmate’s (verified) medication list and deciding which of those medications will be dispensed at the jail—and which will not. All incoming inmates taking medications should have their prescription list verified and authorized. These two processes take quite a lot of nursing time and effort at most jails. So now we return to the original question. Which is better, to allow inmates to bring their outside medications into the jail with them or not to allow this and instead verify their medication list and re-prescribe the approved medications ourselves? The answer is that there is no “right” answer. Each system has its advantages and disadvantages. Which you choose to use at your jail depends on several factors, such as the size of your jail, your staffing levels and the sophistication and efficiency of your pharmacy system. With that in mind, let’s compare each system as to its relative advantages and disadvantages with regard to some of our goals in jail. We want medical care to continue seamlessly from the outside to the inside of the jail. We want there to be no lapses in ongoing medical care for newly booked inmates. This means that, ideally, there will be no missed doses of important medications. This is, of course, easiest to accomplish if inmates brings their medications to the jail in the original containers. This makes verification, authorization and dispensing to the inmate a simple process. Contrast this with what usually happens if the inmate does not bring the meds with them. The current medication list must be verified with phone calls to the doctor’s office and pharmacy. Even if this goes well (no offices are closed), the medications then must be ordered from the jail’s pharmacy. Best-case scenario: the process takes 24 hours. More commonly, it takes 48-72 hours and the patient has been without medications for 2-3 days. If the inmate does not bring meds into the jail with them, the only solution for timely administration of most medications is to have an extensive collection of “stock” meds on hand, so that most medications can be continued quickly from stock. In order to be able to fill the majority of outside medication prescriptions, there must be a lot of stock meds plus protocols for automatic “therapeutic substitution” (mentioned here). http://www.jailmedicine.com/the-f-word-formulary/ That is a pretty sophisticated system. However, even then, no “stock” med collection is going to contain all of the various HIV meds, say. Or cancer chemotherapy agents. And these are precisely the medications that we most want to continue without missing a dose! Clearly, from a “continuity of care” perspective, it is better to encourage inmates to bring in their own, outside medications. There is no question that having the original pill bottles sometimes gives you medically important information. As one example, consider the patient who takes combination lisinopril/HCTZ for blood pressure. He brings in a bottle that was filled 45 days ago for a one month supply (30 pills). There are 29 left in the bottle. His blood pressure is 128/78. Would you continue the prescription? I probably would not. I would, instead, monitor his blood pressure to see if he really needed the medication. Or say instead, his blood pressure is 180/120. If I know that he has not been taking his hypertension medication, I would simply restart it in the jail. But if he had been taking it faithfully, I might consider adding or changing the prescription. I could give many more examples of similar situation. Knowing that the patient has (or has not) been taking their prescribed meds is often very helpful clinically. Advantage: Allowing meds to be brought in to the jail. The issue here is how long it takes nursing staff to verify and approve a newly booked inmate’s medications. If the inmate brought meds to the jail in the original pill bottles, verification consists of noting the information on the prescription label, verifying that the medications in the bottle match the label and counting them. Authorization is easy as a phone call to the provider. And then the medications can be immediately dispensed to the inmate. If the inmate did not bring meds to the jail, verification will take much more time. It consists of interviewing the inmate (Who is your doctor? Which pharmacy do you use? ), then calling the doctor’s office, the pharmacy or both (hopefully, there is only one of each!). If there is a discrepancy between what the inmate says they take and what the pharmacy says they filled, a second interview with the inmate may be required. Then, after the approval process, the medications must be ordered from the jail pharmacy, delivered, processed and then, finally, they can be dispensed. Advantage: Allow meds to be brought in. Consider the case of the inmate who is only going to be in jail for 30 days. He is willing to supply his own medications for the month long stay. Among other things, he takes Abilify, which costs approximately $25.00 a pill. If your jail will not allow him to bring in his own Abilify, then you must either supply it at a cost of many hundreds of dollars for that medication alone, or substitute something else. Even if patients are on inexpensive medications, these med costs and fill fees add up. Advantage: Allowing meds to be brought in at booking. The main medico-legal risk in these situations is disruption of the continuity of care, in this case, patients missing doses of important medications. If (Heaven forbid!) something bad happens after the patient has missed a dose of medication—like the patient has a heart attack or commits suicide—it will inevitably be blamed on the missed meds by the patient, his family and their attorney. I have seen this many, many times. Advantage: allowing meds to be brought in. This is the one aspect of the problem where there is a decided advantage not to allow outside medications into the facility. Anytime you allow stuff from the outside to come into the jail, there is a potential for a security breech. One possibility is that inmates might adulterate capsules by pulling them apart, pouring out the real medication and then filling them with cocaine, heroin or whatever. However, this is not as easy to do as it sounds. Adulterated capsules don’t look right and, in my experience, are quickly suspected and discarded. Besides, if you want to smuggle illicit substances into a jail, there are easier methods than trying to pour powder into tiny capsules. A more legitimate security concern is what to do with medications that were brought in to the jail but then were rejected during the authorization phase and so never dispensed to the patient. Non-controlled substances can be placed in the patients’ property, but things can go wrong. For example, the meds, somehow, are not there when the inmate is discharged from the jail six months later. Where did they go? The inmate, of course, may demand compensation for his lost property. Maybe there should be an investigation? Controlled substances are even worse, especially DEA schedule 2 drugs like methadone and amphetamines. Like all schedule 2 controlled substances, these properly should be kept under double-lock (i.e., a locked box in a locked room) and should be counted every day with two people witnessing and signing off. That is a lot of work should the patient stay in jail for a significant amount of time. And when the inmate is released, you have this dilemma: should you return these addictive controlled substances to him? What if he overdoses? What is your risk exposure? Advantage: not allowing out-of-jail medications in the facility. In the end, which system you eventually put into place for incoming inmate medications depends on how important the security angle is to you and how well you can create and use a stock medication system. To some degree, this depends on jail size. The smaller the jail, the more important continuity of outside care becomes because the small jail’s medical staff may not be there all the time. Large jails are better able to develop sophisticated stock medication systems where most incoming prescriptions can be quickly and easily filled from stock. But even big jails should have exceptions in place for expensive specialty medicines, like chemotherapy agents, immune-modulators and HIV meds. Does your jail allow incoming inmates to bring their medications to booking? Do you like the system your jail uses? Please comment! This entry was posted in Drug Evaluations, Language, Medical Practice, Pharmacy, Practice Management, Uncategorized and tagged Authorization, booking, correctional medicine, formulary, Pharmacy, pharmacy practice, Stock medications, Verification on July 17, 2013 by Jeffrey Keller MD. Sometimes we have original bottles brought in at booking and there are 2 or 3 different medications in the same bottle. I use drugs.com to verify exactly what the medications are for CYA. Thanks, Julie. Drugs.com is a great reference both to look up pills, but also to look at drug interactions! My answer is “sometimes”. Sometimes they are arrested and have it. We have a secured drop box and it requires a security supervisor and a nurse to open it after hours to give the narcotics back to a released inmate. Sometimes we will have families bring in medications – if they are expensive; most frequently this occurs with HIV medications. We have many of these patients on federal grants to supply their medications – if they just picked it up then we can’t get it from their primary care provider’s pharmacy. We will have the families bring in this medication. We can’t really see a patient who is interested in their HIV status as wanting to not take their prescriptions and have family fill them with drugs. We have seen alterations with Vistaril capsules – but we buy in bulk so we don’t take medications that we have bulk supplies for. On a side note we dropped our pharmacy costs by 53k from 2012 to 2013 by taking this approach. Thanks Lisa! Well done on saving 53K by reviewing your jail’s pharmacy policies! Almost all jails can save substantial money on their pharmacy bills by doing a comprehensive overview, as you have done. How big is your jail? We have a 640 bed facility. I appreciate when the inmates bring in their own medications. It is one less thing we have to pay for. Abilify and Seroquel are just a couple of the medications that are expensive and our company will not approve without justification. We have to show that other medications have been tried first. We have to get their medical records to show that other medications have failed. Sometimes I will fax requests 3 or 4 times and not receive any records. Thanks Chris! I have two comments: First, generic Quetiapine is quite inexpensive nowadays. A 100mg tablet costs 16 cents apiece, whereas a 10mg haloperidol tablet by comparison costs 67 cents apiece. I don’t care much for quetiapine, either, but for other reasons other than cost. Second, often a phone call can get the information you want from pharmacy quicker and easier than just sending a fax, which is commonly ignored. I guess I just assumed it was an expensive drug. Why would my company be so resistant to allowing us to use it? 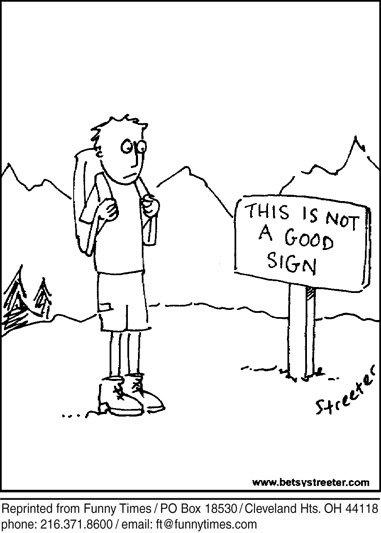 It seems a lot of mental health practitioners here in Colorado are using it. Chris – our Psychiatrist will not prescribe Seroquel for Bi-Polar sleep disorder – but will if used in large doses for psychosis. Wellbutrin is another one and psychiatry does not prescribe Gabapentin at all. The inmates have told our Psychiatrist that they like to crush and snort these medication for their “high”. Thanks Lisa. We have to crush and float welbutrin and Neurontin. We seem to use Neurontin for everything now, seizures, bipolar, pain, you name it. My best answer would be “It depends.” If inmates bring in meds such as HIV meds we will allow the drug to be taken until we receive our order from CVS pharmacy. This requires verification and authorization by myself or the MD. However once the medication is received from our contract pharmacy, the patients medication then goes into the patients property. We still make sure the medication is current, right dose, route, drug etc. No bottles with mixed meds are excepted. If it is an urgent drug (and the patient did not bring in his/her own meds) we will have delivery from Walgreens Pharmacy which can be very costly. Not a perfect situation but that is the way we “roll” at our jail. Hi Doris! Sounds like you run a good system! Having an “emergency pharmacy” is an excellent idea that I should have brought up in the post. Thanks, Doris! I encourage inmates and families to bring in current meds whenever possible. We are a small 98 bed facility. The jailers I work with have learned very well to check all the information on the bottle and even indentify meds using the computer if needed. If there are more than one kind of pill in the bottle or if the dates are expried they are held over for me to deal with. I will not accept anything that is not in a proper pharmacy bottle, also will not give medication to most people that are under the influence of any illeagle substance, until I have “cleaned them up”. Allowing them to bring in their own med saves my jail money and most often has worked out well. Beware of using inmate medications brought through Intake. Those who are supplied their medication through a government program such as Medicaid may find themselves in trouble if you use medications supplied by the inmate. For example, inmate Jon has Medicaid that provides his medications and colostomy supplies. He present through Intake with these items. He is incarcerated almost 3-months before his charges are dismissed. Medicaid has suspended during this time. When inmate Jon is released he find himself slapped with a huge bill by his state Medicaid program because he received medications or colostomy supplies that the jail was required to provide. Now what? Yes, it is ultimately the jail’s responsibility to provide such items. Our jail will administer an inmate’s supply only long enough to ensure continuity of care until the jail pharmacy vendor can deliver a supply (usually takes 24-48 hours). Hi Denise, Your comment is good. I should have made clear that my jails only accept outside meds (with few exceptions) at booking. When those meds run out, I (or my midlevels) become the prescribers. I do not believe in allowing outside doctors continue to prescribe after this. I am the patient’s doctor then. Besides the Medicaid issue, there is also an issue of authority and having inmates “shop around” for an outside doctor who will prescribe something that I have refused. I like the way you put it: “Our jail will administer an inmate’s supply only long enough to ensure continuity of care until the jail pharmacy vendor can deliver a supply,” only I will stretch beyond 24-48 hours depending on how long the inmate is going to be in jail. If an inmate has been sentenced to ten days, for example, and brings in ten days’ worth of her outside meds, I probably would give her her own meds for the full ten days. I work at a relatively small jail (about 400 inmates) with a team of mostly very experienced jail nurses. Mental health meds are on more of a case by case basis because there does seem to be more prescribing by multiple providers, poor compliance and substance abuse issues. So, unless they are known to be severely mentally ill, or are presenting directly from a psychiatric facility, their meds are often held pending evaluation by one of our psychiatrists. We tell incoming persons to leave their controlled substances at home because if they come into the facility they are destroyed. There are very few exceptions to this. And in the rare occasions that the person ends up needing a controlled substance, usually a benzo for withdrawal, we order it from our pharmacy. Hi Patty, Sounds like you have an excellent system. I also have seen many Type 2 diabetics prescribed insulin on the outside who really don’t need it in jail, I guess because there is no access to McDonalds. As far as holding prescribed mental health meds, I agree that this is a case-by-case problem. There are “real” psych meds, like say and antidepressant that I usually continue, and then there are, well, drugs prescribed for psych conditions that have lesser validity, at least in my opinion–like, say, Buspar. Or the infamous gabapentin. Question: Have you had any legal challenges to your practice of destroying controlled substances? I’m curious what others do regarding controlled substances in their jails. I’m a prosecutor and have run in to an issue with an inmate who takes lortab, Xanax and ambien. The policy at our local jail is generally no controls but we allow all other meds. We are faced now with a letter from the defendant’s primary care doc attesting that if medication is halted, the defendant will go into seizures, etc. I’m also faced with a jail staff who absolutely believes there is no legitimate purpose ever for anyone to use a controlled substance–with a prescription or without. The defendant does (though I’m a lawyer not a doctor) appear to have a legitimate need for pain medication as he was in an accident that shattered his leg and required some pins. The jail nurse informed me that motrin 800’s can replace the lortab. She further informed me that “vistaril” can be substituted for the Xanax. It’s her opinion there is no need at all for the ambien, and there’s nothing to do in jail but sleep and he will get to sleep eventually. I’m familiar with all of the issues surrounding the dispensing of controls to inmates vs “normal” prescriptions, the hassles involved, security issues, etc. I’m also a former instructor of law and ethics and can recognize that there are serious ethical implications here on multiple levels. I’ve decided not to oppose the motion for a court order that will essentially force the jail medical staff to administer this defendants meds (he hasn’t been sentenced yet, but we are awaiting resolution of this issue first before the agreed disposition is imposed upon him). This has caused a rift between jail staff and me. As a professional, I do not appreciate non-lawyers who question my judgment about my cases when they aren’t familiar with the intricate facts in the case and they aren’t familiar with the law. I feel the same way with this defendants doctor, who is a reputable physician on my community and not operating a “pill mill.” Who am I or who is the jail administrator to stand in the way of this doctor patient relationship and preclude him from having acess to his medication? I also question the efficacy of the substitute medications approved by the jail. There is NO protocol for “weaning” any defendants off drugs at our jail, and it’s all cold turkey–with vistaril for the Xanax and motrins for the lortab. I have an issue with this because while the defendant IS being punished, it’s not our job to torture him with potentially life threatening withdrawals… Has anyone dealt with this similar issue? Would appreciate any feedback. Thanks for the questions, Jared. Actually, you have raised several questions and issues. I don’t know where to begin! Let’s start by saying that there is interplay between three separate issues: Medical policies and therapy, legal ramifications of these policies, and administrative issues, like having a smooth running and efficient medical system in the jail. I think it is easier to approach this by speaking about each of these in turn. 1. Medical policies. Since this patient has been taking narcotics and Xanax for a long time, if both are abruptly discontinued, he will go through both opioid and benzodiazepine withdrawal. There are a couple of different ways to treat opioid withdrawal, but Motrin is not one of them. This is the “Cold Turkey” approach. According to the textbooks, patients do not die from “cold turkey” untreated opioid withdrawal, although they can get quite sick. Because of this, many jails force inmates to go through cold turkey withdrawal. I personally think it is better medical practice to treat withdrawal. I use clonodine, which works amazingly well. I have also tapered some patients. Abrupt withdrawal from the Xanax, on the other hand, can have serious consequences, such as seizures. Deaths have been reported. Vistaril (hydroxyzine) is not an appropriate treatment for benzodiazepine withdrawal, in my opinion (I’ll be writing about this very soon on the blog). Tapering the benzo is the only approach I know. A “Cold Turkey” approach to benzodiazepine withdrawal is NOT done in hospitals, inpatient clinics–well, anywhere else in the medical world. The outside doctor’s warning is correct. Bottom line: I would not treat this patient the same way. Not treating benzo withdrawal is the bigger sin, in my view. 2. Legal ramifications. If this case ended up on your desk and in court, obviously there are legal ramifications of these policies. Worst case scenario: after a week in jail, the patient is found dead. This death would be blamed on the abrupt withdrawal. Especially since the jail was warned by the outside doctor, they would probably lose the resulting lawsuit. In other words, I think the legal risk is high in this case. Also, unlike many court orders I have written about on JailMedicine, the outside doctor is obviously interested enough to testify at a hearing. The jail will lose. 3. Administration. Think of how much time this particular case has cost you, the outside doctor and the jail medical staff. Think also of the ill will generated with the outside doctor and every other doctor he talks to. What happens when the situation is reversed and the jail wants help from this very doctor? Bottom line, the jail medical staff and you and the outside doctor (and the patient and his family, for that matter), have better things to do than this. This is not “the good fight.” It almost always saves time and effort in the long run for the jail doctor to call the outside doctor, discuss patient medical needs as well as security concerns of the jail i=environment, and jointly come to a decision as to how the patient will be treated in jail. Thank Dr Keller for your response. You have given me some great insight on how to approach this issue. Especially number 3…lots of time, mine, jail stuff, the judge for two in chambers meetings, doctors, nurses, etc…have expended numerous hours dealing with this the past week. Our biggest concern now that we have had two meetings about the issue seems to be the extra work involved in the administration of these drugs. I also mentioned this issue to a friend who is a psychologist that suggested there could be implications under the ADA if benzos are being used to treat a mental illness, and that really got me worried. I’m glad I found your website and plan to forward along to colleagues. Appreciate the work you do. We do not cold turkey inmates off of benzodiazepines (Xanax) or lortab. We taper inmates off of the following: benzodiazepines, gabapentin and wellbutrin. We provide withdrawal protocols for lortab and alcohol. Yes if “cold” turkey off of benzodiazepines they can seize and they can go into delirium – we have had that experience here with the individuals who are taking benzodiazepines off the streets and we can’t confirm the doses so we don’t know where to start a taper. We house in our medical unit with round-the-clock vital signs, fluids and daily physician rounds. We are in a county that is one of the top for opioid related overdose death rates in our state – which is also #1 or #2 in the country for prescription opioid related deaths. As a results our public safety department as a whole is working on a naloxone education and distribution program at discharge, the fire department is working on providing community educaiton in regards to naloxone with our county public health who will work to distribute and assist with educaiton at the fire department community meetings. In addition, our Sheriff department is putting in a drop box for prescription opioids when the person cleans out their medication cupboard. I am not denying that some people need medications for pain and for benzodiazepines to get through life; however in a jail setting these medications have high street dollar value. Suboxone right now runs about $400 per strip in our back units. In my opinion (all 2 pennies worth) this can further jeopardize this lawyer’s client. Because inmates tend to talk to much – if one gets it they all want it – they may further injure this lawyer’s client, may bulldog him or worse trying to get his medications. I’ve seen that. Every time we have a new provider – until they grow their wings – the inmates know. If one gets a toradol shot it is only a matter of 2 weeks before we have that inmates’ entire unit requesting it by name and then if more get toradol too – it is about a month and the entire jail has submitted sick calls to get it. A blanket no narcotics is a good policy (in my opinon) – however, not weaning them and only giving vistaril to help with anxiety is going to cause harm at some point in that local jail. I agree with Lisa. We also wean inmates off of their Benzos using tranxene. In my mind there is no place for xanax or sleeping pills in jail. I had one inmate show me how he could cheek his medications without the medical staff knowing. He was very good at it. Someone taking a benzo or narcotic could cheek their meds over a period of time and either share them, or save enough to commit suicide. If they are having anxiety or sleep issues, they should be referred to mental health. They can teach them non pharmaceutical ways to deal with those issues. Antidepressants also can be used for pain and anxiety. We use tylenol with codeine for a few days for severe pain, then tylenol or ibuprofen after that. You have to remember that most of these people are addicts and we have found outside doctors feeding the addictions with prescription medications. The inmate thinks because it’s prescribed they should get it in jail. So what’s next? Medical marijuana in jail? I don’t think so. It doesn’t matter how respectable an outside doctor is, they don’t have prescribing privileges in jail. Neither does a judge. The jail doctor becomes the prescribing doctor. How would you feel if another prosecuter from another agency was able to tell you what was best for this inmate in this circumstance when they knew nothing about how things work in your agency? Like Lisa said, once one person gets a particular medication, within hours it is know throughout the inmate population and the nurses are receiving multiple requests for it. I don’t tell prosecuters how to do their jobs, and non medical people should not tell a medical person how to do theirs. Great points Lisa and Christine. Even on a 30 day jail sentence you would taper the inmate off Xanax? Does it matter how long the stay is before you will start altering medication? Reading this made me realize that I was too focused on how to treat withdrawal and so did not answer your primary question, Jared. Well, two questions. 1. Do I have a “No Controlled Substances Ever” policy in my jails? Answer: No. There are times when a controlled substance is the best medication for a particular problem and not using it would be bad medical practice. I just wrote about one of these on JailMedicine–benzodiazepines are the best treatment for alcohol withdrawal. Not using them is a mistake, in my opinion. There are times also when narcotics should be used, despite the fact that the patient is in jail. 2. What would I have done in this particular patient? Continue his hydrocodone and Xanax while he is in jail? Taper? Abruptly DC? Answer: it depends. One of the things it depends on is the patient’s legal situation. If this guy is only serving 7 days in jail, especially given the note from the outside doctor, I would continue the hydrocodone (though maybe at a reduced dose) and I would substitute Valium for the Xanax for the seven days. I see no point medically in making him go through withdrawal for a week and then return to his previous regimen. There is no medical benefit for the patient and too much hassle for me. On the other hand, if this guy is not going to get out of jail anytime soon and is probably headed to prison, I typically would stop both medications and treat him for withdrawal (though I treat opioid and benzodiazepine withdrawal very differently than does your jail). I also would come up with an alternative treatment plan for this patient’s chronic pain and anxiety issues. Either way, I would likely discuss the case with the outside physician so that we both agree on what will happen while the patient is in jail. Those are just some of the things I would consider in making a decision on what to do for a one month sentence. Different patients should be treated differently. It’s a sticky wicket. Keep in mind that most of the inmates in a county jail are “non-adjudicated”. That means they have yet to go before a judge and/or jury of their peers to be tried for the crime they are accused of. Many will actually be released from the jail without having done so. Of course there are constitutional questions involved that are hidden in the nebulosity of the courts and law, and beyond our simple minds to solve. We must balance the concerns of jail security, the patient/inmates right to continuity of care (his personal physician may have had a very good reason for him to be on that specific medication), our financial obligation to the taxpayers who are actually incurring the costs, and the necessity of delivering the best quality medical care we can in spite of the above. How to handle outside prescriptions when patients come to jail is a complicated matter. My default position is to allow most prescriptions brought to the jail unless I have a specific reason to disallow, like a serious drug interaction or security concerns (like amphetamines). Once outside prescriptions run out, though, and I am the one doing the prescribing, I am going to prescribe the way I think best for this patient. I have seen plenty of outside prescriptions that are, well, nutty. I feel no obligation to continue such prescriptions if it is not in the patient’s best interest. Totally agree. But nurses have to know to check and make sure they are in labeled bottles with current dates. I usually also have them contact the dispensing pharmacy for a complete medication list. You find amazing things sometimes that way. Absolutely! Thanks for the comment, Paul. We used to allow meds to be dropped off at any time in the first month of a patients incarceration. It was a nightmare. We often had elderly parents of the patient grabbing every pill bottle they could see, some several years old and a good many narcotics which will be denied anyway. More than once I got calls from patient family that they mistakenly through grandma’s heart medication in the bag and they really need it back. 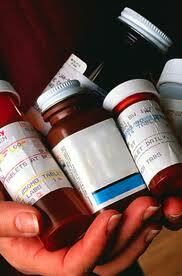 : ) We now only accept medications during the booking process. In addition to that, the CO’s screen each patient at intake, where the pt. has the opportunity to list their physician, medical diagnoses, medications, and pharmacy they go through. Then on a case-by-case basis, the pt. name is added to a list at visiting, for family to be allowed to drop off medications. I usually limit it to HIV medications, and certain insulins we don’t carry. I sometimes wish we would allow more patients to bring their own prescriptions every month, if they are able and willing, just as a cost-saving measure, but that is not our current practice. I work in a very small tribal jail (20-30) inmates on average. We generally use this tribes version of Indian Health Services for most of our client’s healthcare. The IHS pharmacy will be our consulting pharmacy. We have inmates from a variety of places, so coordinating care is sometimes difficult. My question is about repackaging of inmate’s prescription medications. We do allow for inmates to bring their own medications provided the prescription is current and verified. We would like to use unit dose packaging (aka blister packs) for medications and was wondering if anyone else did this and the legality. We prefer the unit dose packaging since we use QMAPs and medical staff are available during business hours only due to the size of the facility. I would appreciate any guidance or suggestions in looking into the legality of this and how other small jails work. My experience is different because spanish health system is different. I`m hospital pharmacist and I work in a prison (in Spain we don´t separate the terms jail and prison). In my region we have the same electronic prescribing program and medical record than primary and specialist care, so it`s quite easy to check the meds list of each patient. The problem is when the inmate is from another region of Spain, when we have to make many calls if the inmate doesn´t carry the med list or the meds with him/her, or he/she doesn´t take his/her medication like the meds list indicates. When an inmate gets into the prison a doctor always make an evaluation of the patient and check his/her medical record and the current treatment in our program. After that, they prescribe the meds in the electronic presribing program and the pharmacy team (technicians and I) prepare his meds for 24 h, if the drugs act on the central nervous system like benzodiazepines, antidepressants, antipsychotics, or for a month, if the drugs are for chronic disease like diabetes, hypertension… The meds we prepare for 24h are packaging in unit dose (properly identified and with the expiration date and lot in the packaging), so we label all drugs that are not in single-dose packaging (this is a legal requirement in our law). When inmates get into prison after hours the nurse on duty prepares the meds. Then I make the reconciliation of the medication, and if I have a discrepancy or error in the treatment the doctor and I we meet to solve it. Only sometimes they carry the meds and the meds list with them, but only remain with them the topic meds, if they need them for they disease or clinical condition. The rest of medication is kept in the pharmacy until his/her release, but most of times they don´t claim it and we end up removing it. I am wondering what other jails do for over the counter medications (ie Tylenol, ibuprofen etc). Do patients purchase their own from commissary? Are they provided by the jail? Do jails have protocols to give in certain situations or seen by providers for initiation? Thanks!